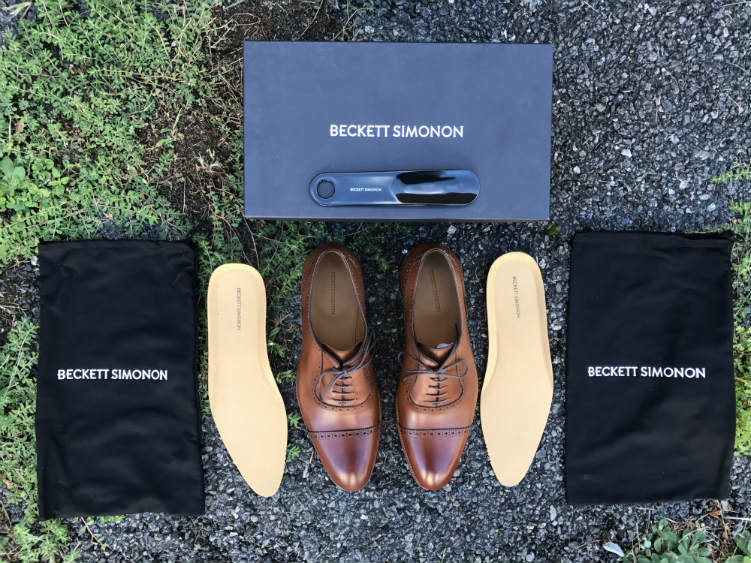 In our next Beckett Simonon review, we selected the iconic wholecut shoe style that is very challenging to successfully craft as they require large pieces of high-quality leather. 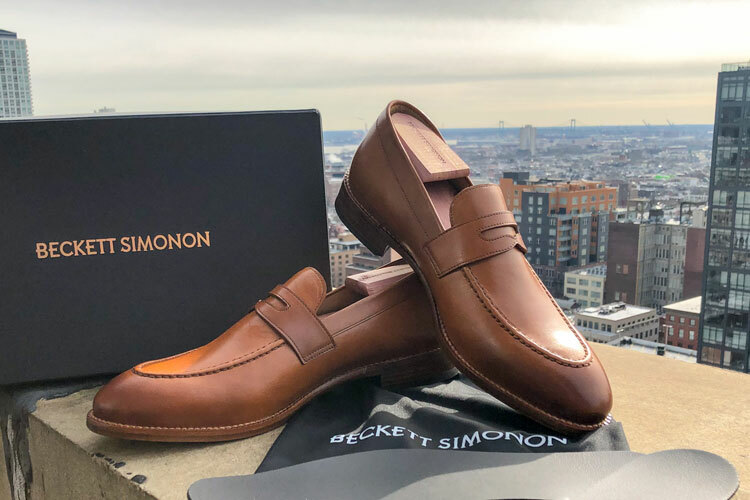 If you’ve already read our previous reviews and dedicated brand page linked above, then you’ll already know that Beckett Simonon are ethically handmade shoes from Bogotá, Colombia. Made from full-grain calfskin leather using a Blake stitch construction and hallmarks of this technique can be seen on the leather sole underneath. Meanwhile, the heel is made from stack vegetable-tanned leather. Finally, the inside lining is made from wholecut vachetta lining and features a suede back panel to reduce rubbing on the heel. Before we begin talking about the shoes themselves, let’s explore the challengers that shoemakers may face when making wholecut shoes. 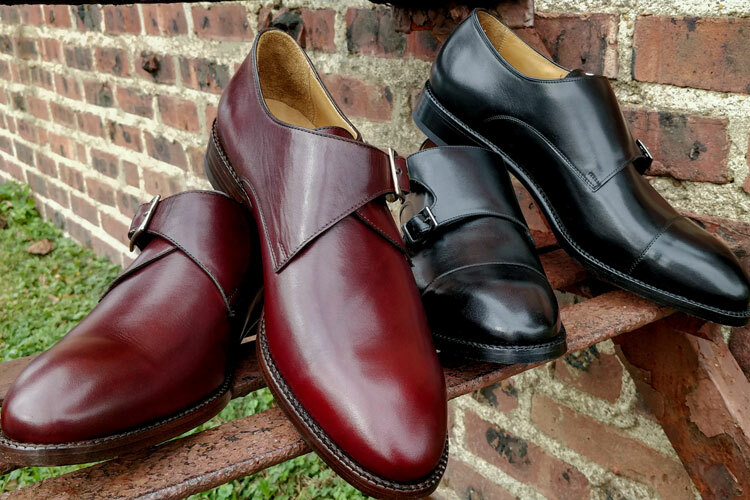 As previously mentioned, wholecut shoes are notoriously challenging to successfully construct primarily due to the quality of raw materials needed. Most shoe styles that will use smaller pieces of leather that are assembled through stitching. However, as the name suggests, wholecut shoes are made from a whole single section. Consequently, they require large segments from the hide. This can be challenging as the shoemakers will need to find large sections that are free from any blemishes or veins. Furthermore, the leather for both shoes needs to come from the same hide to avoid any colour variations. For the reasons mentioned above, only the highest grades of leather are practical for making wholecut shoes. This is because they are the most likely to be free of any imperfections. Similarly, the shoemakers will often use the full grain leather for the same reason, which is the part closest to the spine. As a result, quality wholecut shoes tend to be quite expensive! Sometimes, less scrupulous shoemakers may cheat by using a technique known as “bookbinder leather”. This involves applying a coating not too dissimilar to a patent on the shoes to hide any leather imperfections. Technically, this would allow shoemakers to use the lowest grades of leather to make wholecut shoes. By literally painting over all the blemishes, they could effectively be sold at any price. Due to the common practice of bookbinding, we’re sometimes suspicious when confronted by affordable wholecut shoes. However, we’ve thoroughly researched Beckett Simonon as you’ll see in our detailed brand guide. Through our experiences, we’ve learned to trust the brand when they say that they use the real full-grain calfskin leather. As you can see in the images, the Valencia wholecuts are free of any blemishes or imperfections and there are no trace signs of bookbinding. As such, it’s simply remarkable that they’re sold for a mere $160 when you use our exclusive BU20 discount code during checkout. A quality albeit machine-made wholecut shoe would retail for at least double this amount. This is presumably largely thanks to Beckett Simonon’s unique group made-to-order business model, which allows the brand to keep prices low. However, they’re sold for the same price as other styles so I’d imagine that there is less of a profit margin with these shoes. 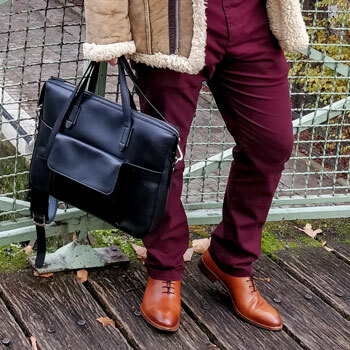 For reasons that I’ll explore in the formality section, I opted for tan leather. However, they’re also available in brown, black and a reddish bordeaux. The shoes evoke a warm chestnut hue with a subtle burnished finish on the toe and heel. The eyelets feature brass rings on the inside and the Blake construction can be seen across the upper sole. Meanwhile, the vegetable tanned leather heel has a woody texture and the sole is a lovely slab of uncoloured leather stamped with the brand’s statement. For my first pair of wholecuts, I’m delighted with the finish and I confess that the quality is much higher than I expected. 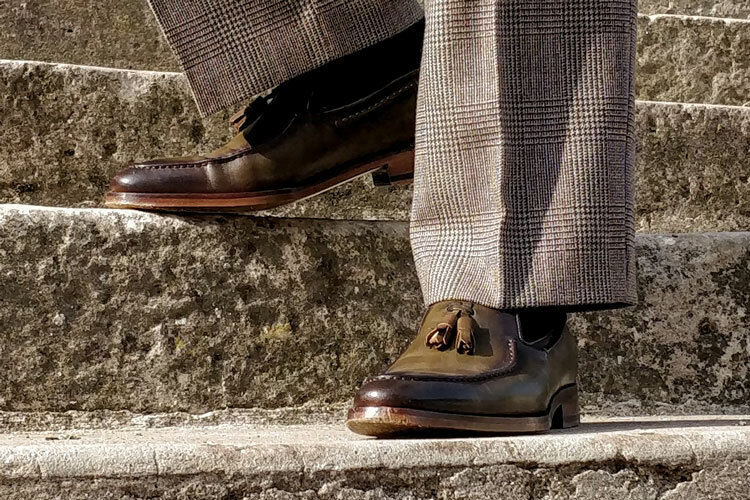 One of the benefits of the Blake stitch construction is the short break-in time required to experience the full comfort of Beckett Simonon’s shoes. I was particularly appreciative of this characteristic as I first wore them on a day out in Paris. Initially, I was a little weary of sporting new shoes for a full day in the City of Lights. However, my mind was soon put at ease within the first few hours. As they’re traditional dress shoes, don’t expect any cushion on the innersole. However, Beckett Simonon shoes are supplied with foam inserts so you can use these if they’re too hard to your liking. Nevertheless, I found the innersole to be firm but not too hard and they were overall quite comfortable for a normal day’s wear. As for the toe box, Beckett Simonon use a spacious last so my toes didn’t feel cramped. Furthermore, you can feel the benefits of the wholecut lining as well as the suede back that’s quite soft against the heel. As for the sizing, I’m a EU 42 and so opted for the US 9. I confess that I did find them a little tight to the extent that I couldn’t squeeze in the foam inserts. Although they did give by the end of the day, I would probably have preferred a US 9.5 instead. However, this seems to be a one-off as I found the US 9 Leonard monk strap to be quite cosy. Buy The Valencia Wholecut Now! 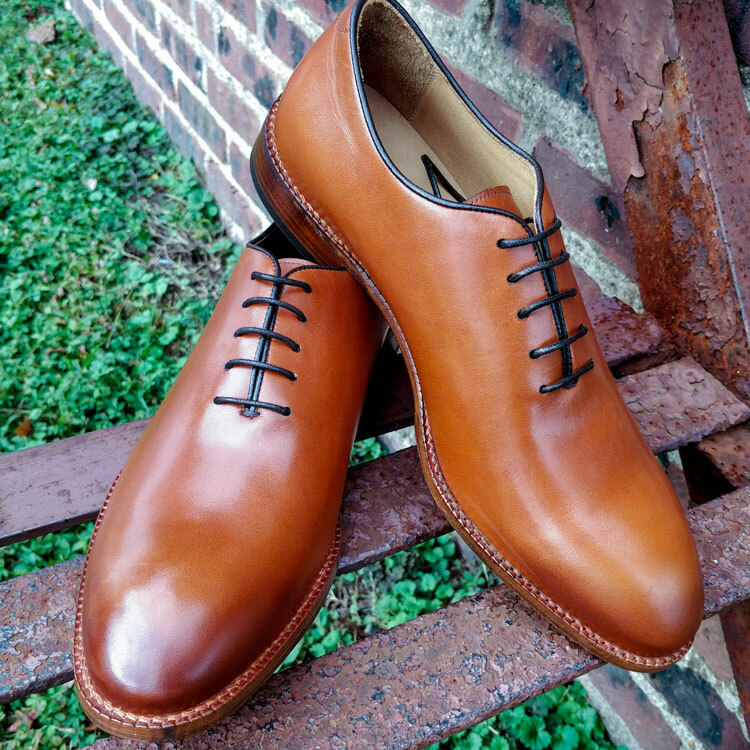 Wholecut shoes are an interesting breed when it comes to their formality. As you’ll learn in our shoe formality guide the general rule states that a shoe becomes more casual with the presence of ornamentation. 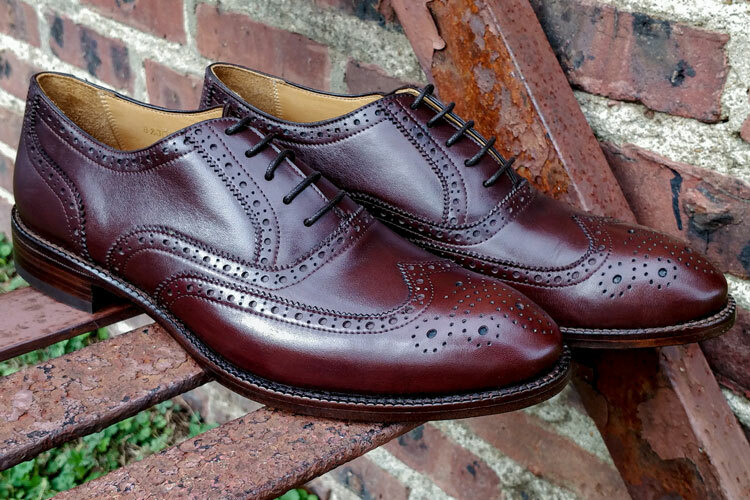 For instance, a typical brogue is often regarded as a particularly casual style of dress shoe. Meanwhile, Oxfords feature fewer details and are quite formal. Between that and the closed throat lacing system, wholecuts should be particularly formal. Indeed, if made from black and even patented leather, wholecuts are one of the most formal shoes that you can wear. However, their level of formality will plummet more than any other style when in another colour. As such, a pair of tan wholecuts are considered to be particularly casual, which is precisely why I wanted them in this colour. Rather than a business professional dress shoe, I more business casual to wear when letting my hair down. In short, I wanted a pair of shoes that would look sharp. However, I wanted to wear them about town with chinos and a button-down shirt. Similarly, they’d be great for an evening out or a date-night with my wife. Furthermore, formality is a fickle creature and is often subject to seasonal changes. In the cold and milder months, the tan wholecuts are quite casual. However, formality standards tend to relax during the summer period. Consequently, the wholecuts will become much more versatile during the warm season and so I look forward to sporting them with a khaki summer suit in linen. Perhaps I should embrace my inner Sperratuza and where them sockless? As explained in our previous monk strap review, the shoes are supplied with foam inserts as well as a dust bags and a booklet. However, it would appear that laced shoes also come with spare laces! A thoughtful and unexpected touch, I appreciated the addition as I have a nasty tendency of snapping mine yet never replacing them! Again, like the monk straps, the Valencia wholecut shoes come with a booklet that covers much of what we explore in our full brand guide. Yet my favourite addition is the information sheet that’s stuck on the underside of the lid where you’ll learn about the materials as well as other details about your shoes. I realise that I already clamoured about it earlier but we usually reserve this space for exploring a product’s value for money. Not one to sway from tradition, let’s cover it again! After all, the value for money is what gives Beckett Simonon such an edge over its contemporaries. Indeed, their group Made-to-Order model means that you’ll have to wait 8 to 10 weeks for the shoes to be manufactured. However, they’re a handmade full-grain calfskin Blake stitched dress shoe for only $200. We’re not aware of other brands that offer such quality at this price point. In fact, the brand resonated with us so much to such an extent that when we reached out to them, they gave us an exclusive discount code for our readers. 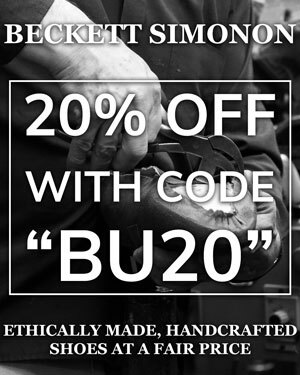 As such, you can get a further 20% off your order when you use our our exclusive “BU20” code during checkout. Having opened this review with a question, this would be the moment where I would answer it. However, looking back, it would appear that I already did on several occasions. Admittedly, I was bracing for disappointment when waiting for the Valencia wholecuts to arrive. I thought that quality wholecuts simply couldn’t be done for less than $200. After 8 weeks of sleepless nights and cold sweats (yes, I’m exaggerating), I was delighted to discover that not only did Beckett Simonon stand up to the challenge but effortlessly exceeding expectations. I expect that you’ll be seeing a lot more of me sporting the Valencia wholecuts in future content! "Stylish & well-made wholecut shoes. Exceeding expectations, the Valencia wholecut shoes are a very attractive acquisition." I love the wholecut design, so sleek! Yeah, it’s a lovely design and very well-made by Beckett Simonon! The design of this shoes is really nice. Thanks for the comment, Bruce. You’re very welcome!